Standing in front of a keen psychology audience, Stephen Reicher (University of St Andrews) said he felt like he was at a primary school to tell children why Santa wasn’t real. 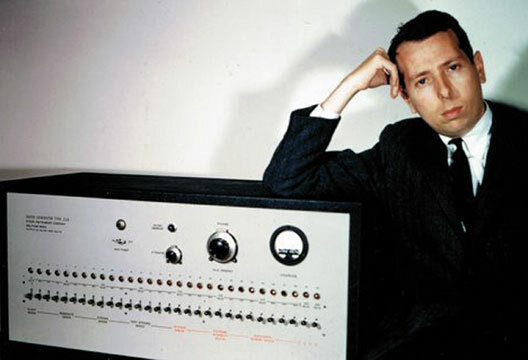 But, in fact, his and Alexander Haslam’s extensive research on the 60s researcher Stanley Milgram has only made the man, and his electric shock box, ever-more interesting. Milgram’s 1961 experiments into obedience set out to answer a question that we’ve been asking for centuries – what makes normal individuals do monstrous things? Milgram’s participants were told the experiments were a study of punishment and its effects on learning – they acted as ‘teachers’ giving electric shocks to ‘learners’ when they misremembered the second word from a list of word pairs. Participants were in a separate room to the learners – who, in reality, were confederates of Milgram and received no shocks – but could overhear their shouts of pain as the shocks increased in power. These sessions were overseen by a white-coated experimenter who would coax any struggling participants to continue with the experiment. Prior to this work Milgram asked colleagues how many people would give a shock of 300 volts or more, and many said only true psychopaths would do so. But in his first baseline study of 40 people, 26 went all the way to 450 volts and beyond – in other words two out of three people would kill someone for making an error in a learning experiment. From this work Milgram developed a theory that, during obedience, people adopt an agentic state seeing themselves as instruments to carry out the will of another and feel little or no responsibility for their actions. However – and it’s a rather big however – there are some key elements from Milgram’s studies which undermine the theories he developed from them. First, while his baseline study would back up the agentic state theory he actually did around 30 studies and obedience varied between 0 and 100 per cent… overall 58 per cent of people actually disobeyed the pushy experimenter. How can we understand this variability, Reicher asked, if the agentic state is true? Second, when we consider the goings-on during the actual experiment and look at the experimenter’s four prods to encourage participants to continue, they reveal that people really do not like following orders. The four prods used were: ‘please continue’, ‘the experiment requires you to continue’, ‘It’s essential you continue’ and ‘you have no other choice – you must go on’. Reicher pointed out that only the final one of these phrases is a direct order, and in fact none of Milgram’s participants continued with the study after hearing this order. As Reicher said – Milgram’s own research here is emphatically not showing that people have a tendency to obey orders. Finally, Milgram’s work did not account for the role of participants hearing the learner’s voice shouting in pain. While agentic state theory would suggest we are bound into the voice of the experimenter, deferentially following orders, this is not revealed in Milgram’s own archived materials – Reicher and Haslam found 40 per cent of participants dropped out when the learner spoke for the first time and mentioned the pain he was in. All of this flies in the face of the overriding narrative Milgram established after his experiments of obedient people in agentic states blindly following orders. While his findings are in no way artificial, Reicher said, he could have reached the conclusion that people aren’t programmed to take orders but rather make choices over which ‘voice’ to listen to in a given situation, which can vary depending on an individual’s relative identification. - Find much more about Milgram and his studies in our archive, including this from Reicher and Haslam, and an exploration of rhetoric and resistance in the studies. - You can read more coverage from the Annual Conference online, and in the June and July print editions.